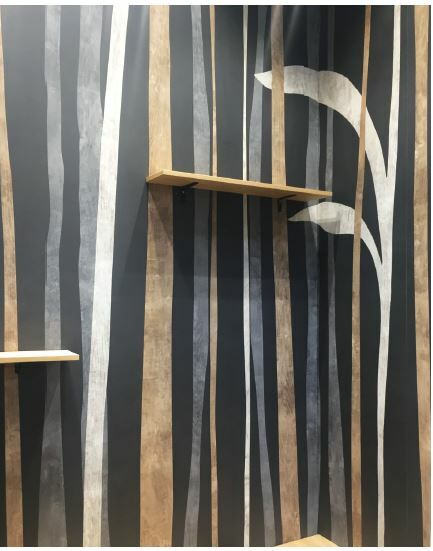 The 36th edition of Cersaie, a massive annual international exhibition of ceramic tile and bathroom furnishings, again took place in Bologna, Italy, from 24 to 28 September 2018. This year the show was even bigger than the last, with an additional three new halls spanning 5 000m², bringing the total exhibition space to an incredible 161 000m², accommodating about 840 exhibitors from 40 countries. 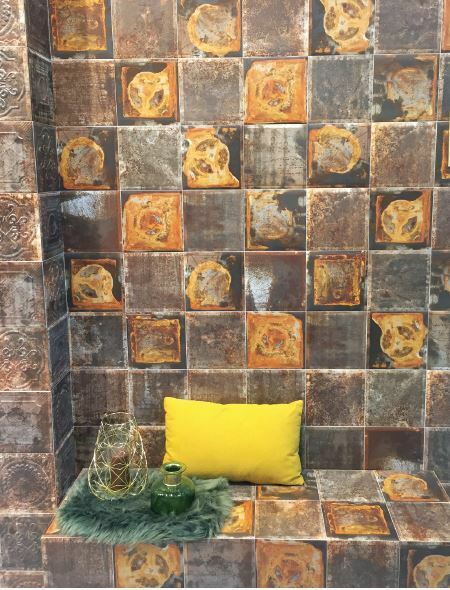 WALLS & ROOFS editor in chief, Marlene van Rooyen, attended and brought back insights about the Italian tile industry as well as the latest trends. With about 85% of Italian tiles being exported, the industry is competing with products from all over the world, including cheaper products from China. Michele Scannavini, president of the Italian Trade Agency (ITA), pointed out that it isn’t enough anymore for Italian manufacturers to offer a premium product – they also have to be at the forefront of technological innovation to increase efficiency, which will keep costs down in order to be able to compete successfully. Interestingly, the Italian government has invested heavily in this industry, providing about four or five euro for each euro spent by these companies. This ensures a high level of responsibility and visibility to raise the competitiveness of products. In fact, the ratio of turnover to investment was almost 10% in 2017, according to Emilio Mussini, chairman for promotional activities at Confindustria Ceramica. “This shows that companies understand that successful competition has a lot to do with technology, manufacturing, management and operation costs,” he said. Transport is another aspect that is becoming more strategic and the last ten years have seen major infrastructure development. Palma Costi, regional minister of economy and development in the Emilia-Romagna region, added that at 70,5%, the tile industry has the highest employment rate in the country and that social development is a priority. Furthermore, infrastructure is supported, competitiveness is protected and global challenges are addressed collectively. 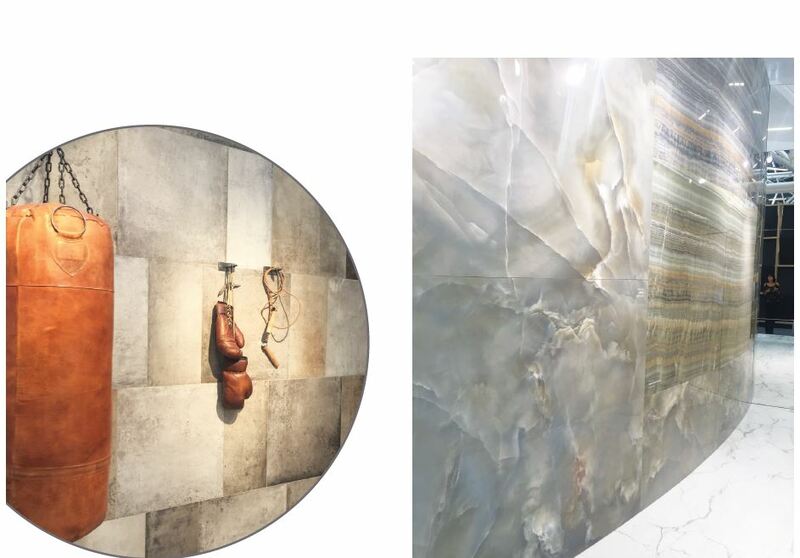 Giving an overview of the latest developments and looks, Cristina Faedi, Marketing Director for promotional activities at Confindustria Ceramica, highlighted the major trends that emerged from the miles of tiles exhibited at Cersaie 2018. 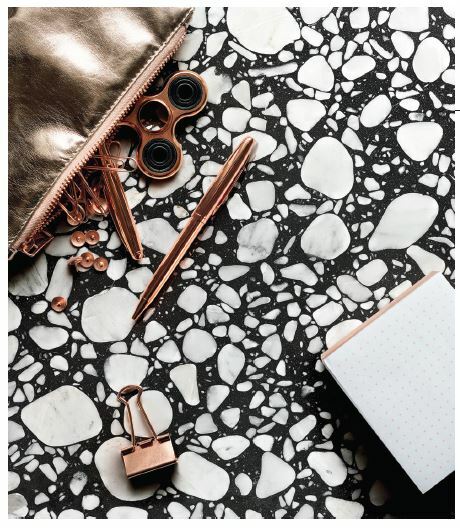 TERAZZO TEXTURE – From micronized, glittery effects, to large-size granules, the terrazzo-look is customisable in terms of colour, grain and texture. CERAMIC WOOD – Still a favourite, masculine wood seems to dominate the wood-look trend, seen with tobacco, leather and greasy appearances, and even a touch of Japan. 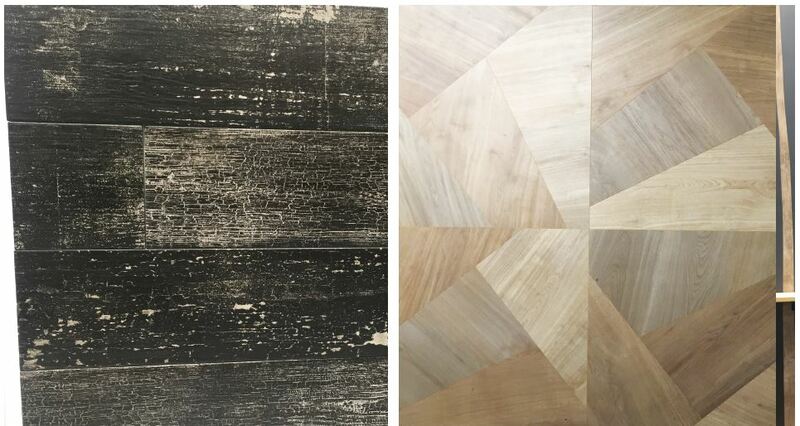 A novelty is the polishing of wood-look tiles, and we are seeing more dark shades of burnt and charred wood. 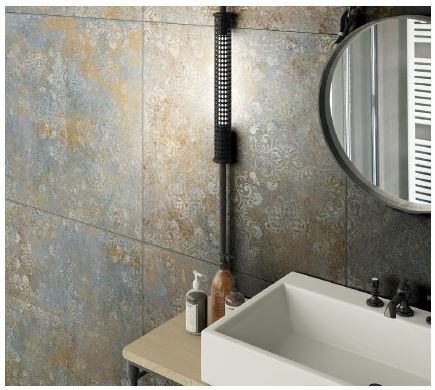 STONE – Meeting well with metal surfaces, stone-look tiles seem to be obsessed with details, getting very close to the real thing, reproducing any surface, complete with veining. 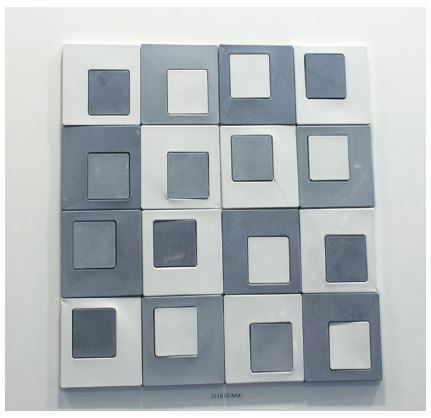 In one instance, approximately 270 files are made before the first tile is produced. A twist on the usual is the polishing of stone that makes it look almost wet. 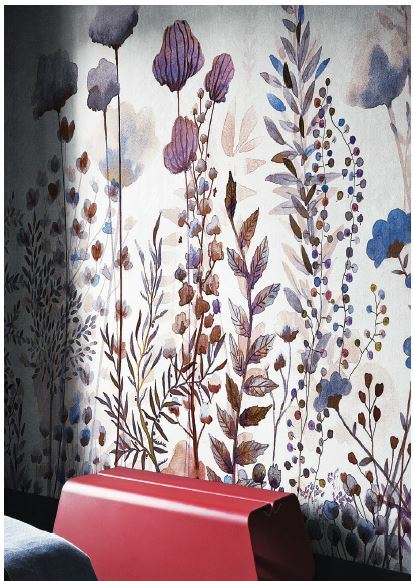 GEOMETRIC SHAPES – Combinations of shapes in random arrangements brighten up surfaces. Neon colours seem to be at the order of the day in this trend. URBAN CONTEMPORARY – Oxidised steel, metal sheets, iron panels, bronze, copper and brass for indoor and outdoor applications. 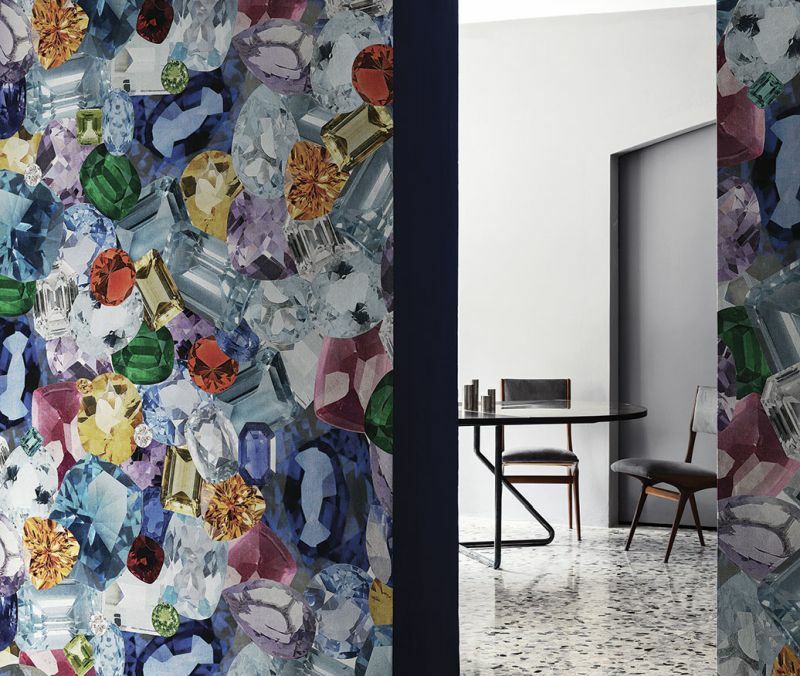 NATURE INSPIRED PICTOGRAPHICS – Designs that suggest or mimic nature are widely seen, often presented as ceramic wallpaper and often including self-cleaning technology. From starry skies to real skies, blue shades range from light baby blue to the bright enamel and octane blues and even darker. Green is another obvious starring colour, either matt or glossy, ranging from acid green to sage and enamel. DOTTY PATTERNS – Circular patterns and sphere-like shapes are seen both in colour and form, such as on concrete. 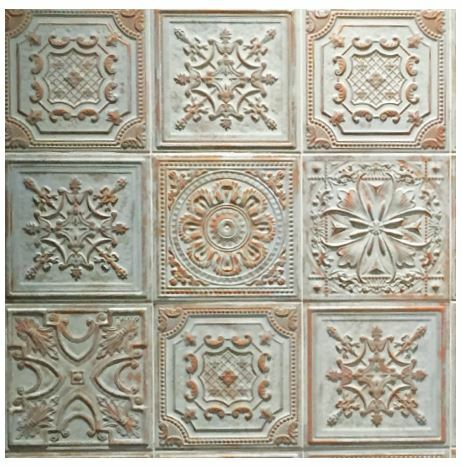 PRESSED CEILING DESIGNS – Reviving the traditional look of pressed ceiling tiles, now these designs are seen on wall tiles and backsplashes, either embossed or flat. 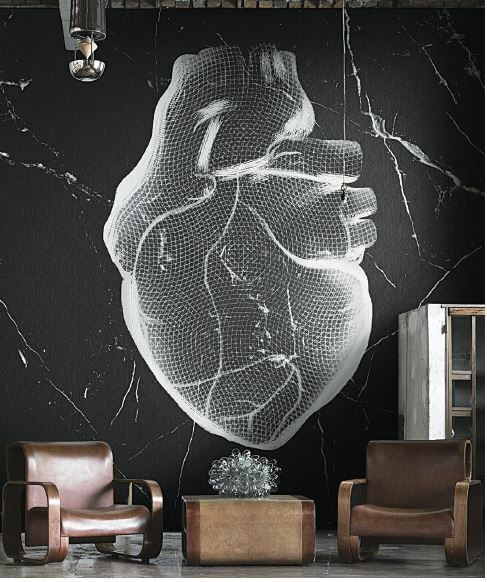 ARTISTIC EXPERTISE – More and more brands are collaborating with artists to create bespoke artwork on surfaces. 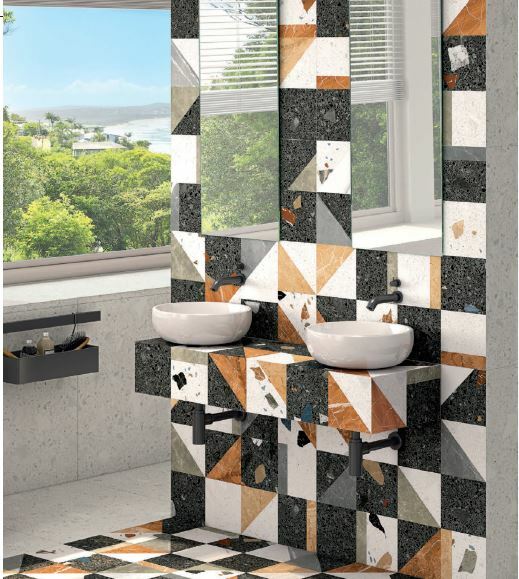 MEDITERRANEAN BEAUTY – Patchwork tiles reminding of handpainted Moroccan works of art. to be at the order of the day in this trend. DESIGN FREEDOM – Overall, it seems that the advancements in digital printing have resulted in an extremely wide range of possibilities, and specifically bespoke designs. 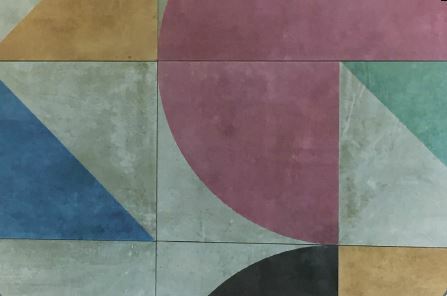 Even size-wise, standard formats are fading with the possibility to cut tiles to random sizes and even special shapes that can be laid in patterns. 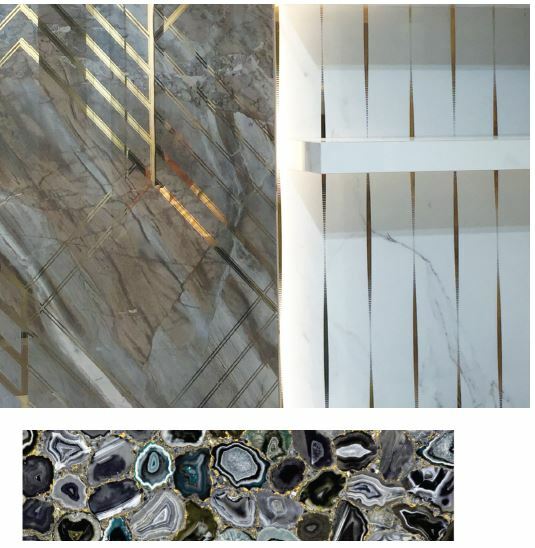 This year, large-format slabs have reached sizes of 3 x 5m in various thicknesses. New ranges are also more often suited for both indoor and outdoor use, adding to the flexibility of applications and freedom in design. For more international show reviews like these, subscribe to our free magazine on www.freemagazines.co.za.